Many of us have long been told that fat makes us fat, contributes to heart disease, and generally erodes our health. Now a growing body of research is debunking our fatphobia, revealing the immense health and weight loss benefits of a high-fat diet rich in eggs, nuts, oils, avocados, and other delicious superfoods. 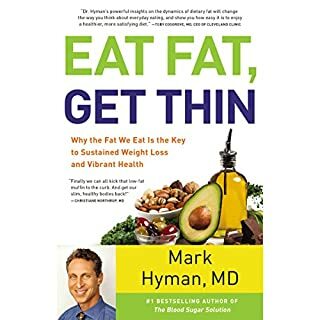 In his new book, best-selling author Dr. Mark Hyman introduces a new weight loss and healthy living program based on the latest science and explains how to Eat Fat, Get Thin. I love this book. Where are the attached PDFs? EFGT is a win win read. Doc Hyman is great in narrating this book. The testimonials and the enthusiastic manner in which he presents various facets of his research are eye opening. Taubes, Perlmutter, Lustig, Davis and Moore have all brought insight into the hoax promoted by big business and perpetuated by our own government. Doc Hyman brings even more insight as to what makes us sick. More non biased studies unveiled to finally reveal the truth about fat. 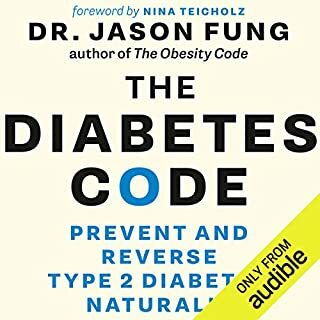 A real guide for healing the pandemic sweeping the world in obesity. A really 5 star book. More than 100 million Americans suffer from chronic pain, according to an Institute of Medicine report released in 2011. For many, chronic pain is part of an autoimmune disease, but all too often doctors turn to the same solution: painkilling drugs. But all of this medication simply isn't helping. As Dr. Peter Osborne, the leading authority on gluten sensitivity and food allergies, has found, the real solution often lies in what you eat. 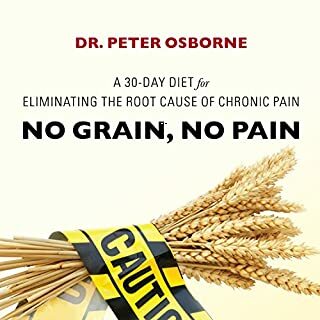 Dr Osborne gives very good advice to anyone who has not started a no grain regimen diet. Lots of testimony for and descriptive outcomes for positive reinforcement. He mentions others who have taken up the functional medicine banner. As a lay person who has been on a no grain diet for awhile now I can simply say it works. It works with The Keto diet, and a fasting regimen, with or without carbs. My best outcome has been with the LCHF diet, plus Ketogenics, plus no grain. This book is a great primer. 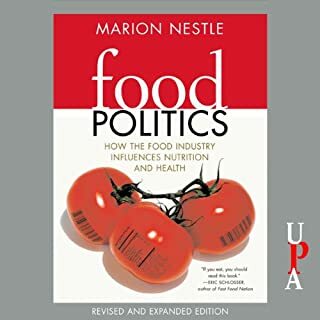 An accessible and balanced account, Food Politics laid the groundwork for today's food revolution and changed the way we respond to food industry marketing practices. Now, a new introduction and concluding chapter bring us up to date on the key events in that movement. This pathbreaking, prize-winning book helps us understand more clearly than ever before what we eat and why. This book is published by University of California Press. It is a shame that after 30 years as a major influence to the SAD, Ms Nestle only understands the term nutrition as it pertains to the 1970's. When she speaks about lobbyists, she talks softly and carries no weight.